The second round of the Kong Mini Mountain Marathon series took part on Sunday around Glenridding in the Lake District. 222 teams of solo runners and teams of 2 tested their navigational skills and route judgement on the course which took runners around the mighty fells of the area. All runners had to get to as many checkpoints as possible which had different points value and return to base within 4 hours otherwise points would be lost for each minute being late up to 30 mins when all points would be lost! 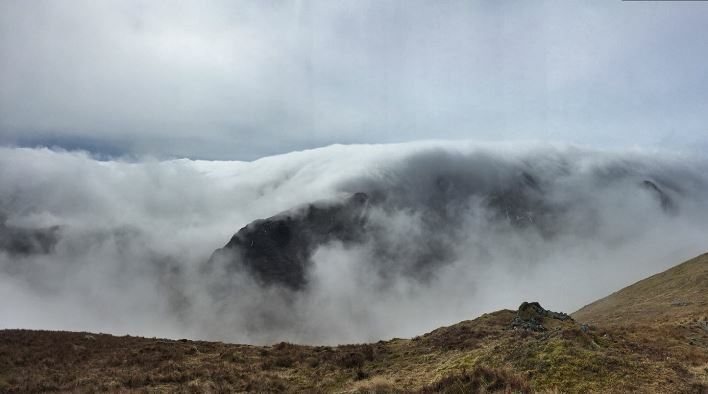 The weather was beautifully atmospheric with mist and cloud rolling off the high tops. Chris Goddard, running as a team with his brother Nick, managed to secure 4th overall place by collecting 580 points. Phil Hodgson managed 3rd position in his age category with 400 points and the combined efforts of Mandy Goth and Helen Wilson, running together, secured a 3rd spot in their age category as well. Full Toddy results……..